At the very end of 2012, MESSENGER obtained the final image needed to view 100% of Mercury’s surface under daylight conditions. The mosaics shown here cover all of Mercury’s surface and were produced by using the monochrome mosaic released by NASA’s Planetary Data System (PDS), as the base. The full resolution mosaics have been made available for download on MESSENGER’s Global Mosaics webpage today. The previous, low resolution mosaic covered only 99.9%. 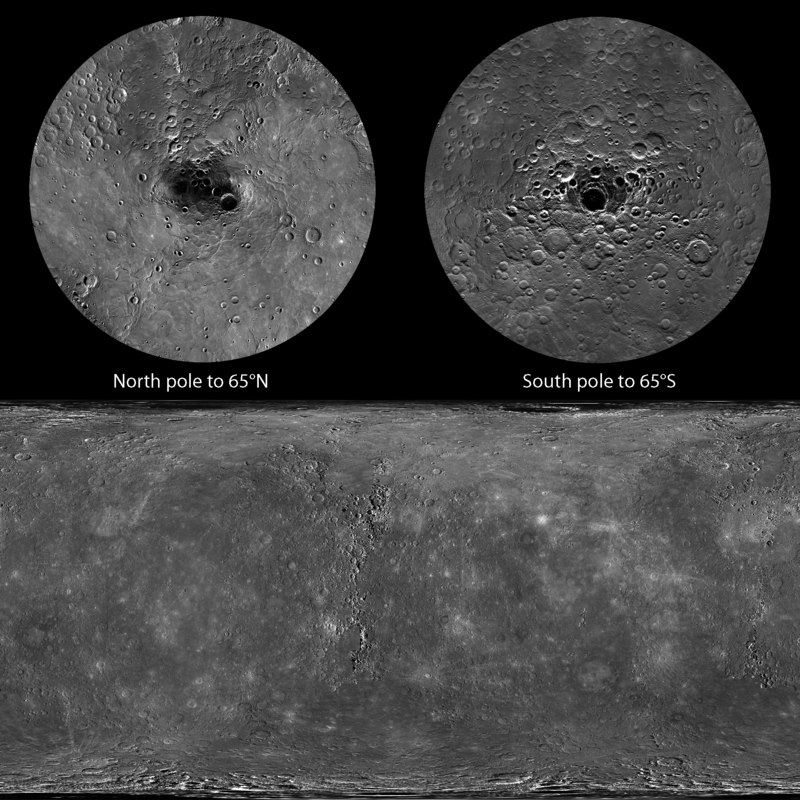 The next mosaic to be completed is the high-incidence angle mosaic, that will show Mercury’s surface topography globally enhanced by long shadows cast by the Sun near the local horizon. This mosaic released now shows the surface in high Sun conditions (low solar incidence angle), revealing the albedo differences that are invisible when the Sun is low, near the horizon. Top polar views are in polar stereographic projection. The bottom global view is in simple cylindrical. The maximum resolution of the map is 250m/pixel. 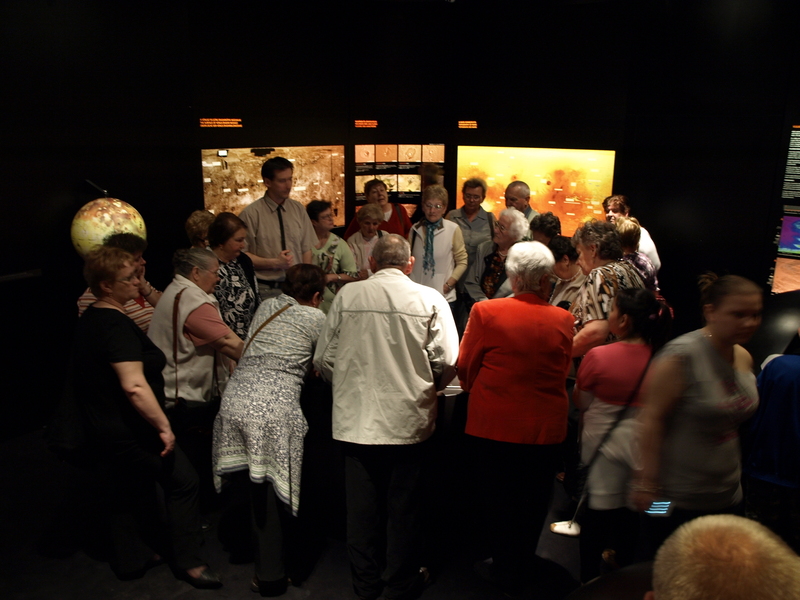 Planetary maps and a globe created by members of ICA Commission on Planetary Cartography are featured in the “Solar System” room of the newly opened volcano museum in Celldömölk, Hungary. The museum, part of the Kemenes Volcano Theme Park, is located at the foots of the 280 m tall Ság-hegy, an extinct phreatomagmatic volcanic complex. The volcano museum was funded from a €1.4 million grant by the European Union. Content specialist curator of the exhibition was Dávid Karátson of the Eötvös Loránd University (ELTE), Budapest. The room presenting volcanism in the Solar System has two large map displays: a radar-mosaic of Venus and a topographic map of Mars, both in equirectangular projection, specifically created for the museum. Both maps has dozens of “hot spot” info boxes that summarize the particular feature’s geological characterics in English, German and Hungarian. 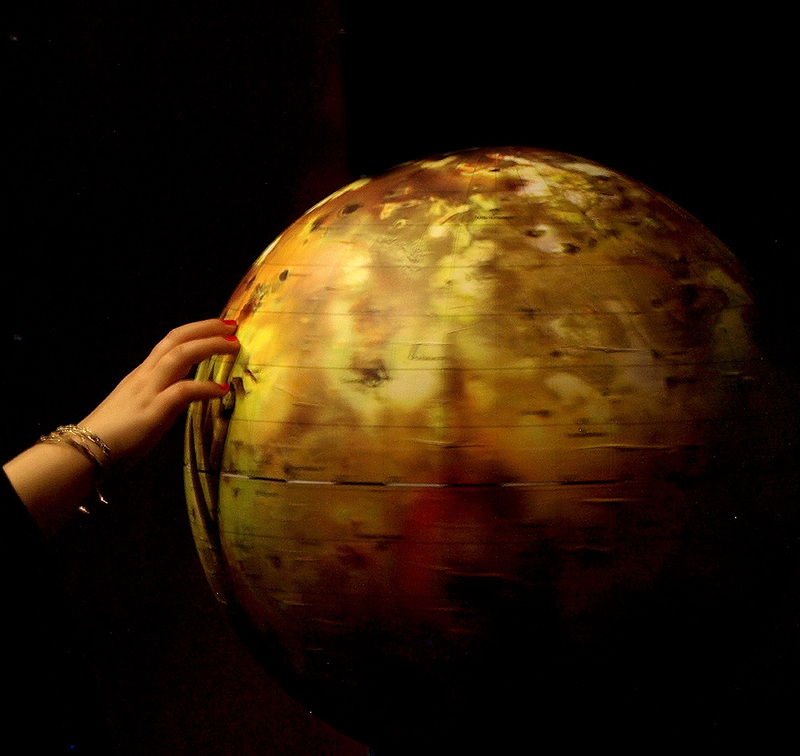 The most exclusive map product is the 50-cm diameter hand-made globe of Io, the volcanic moon of Jupiter, that was produced by Zsófia Merk and Mátyás Gede of ELTE. An international team of 10 institutions, lead by Ralph D. Lorenz of Johns Hopkins University, USA, created the first global topographic map of Titan, a moon of Saturn. They used Cassini RADAR SARtopo and altimetry data for use in Global Circulation Models, hydrological models and correlative studies. The map itself consists of 90% of interpolated data. 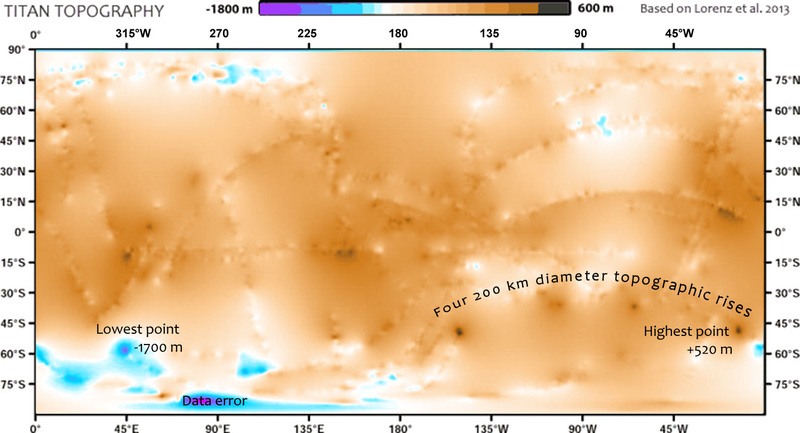 The dataset revealed four prominent topographic peaks in a row in the southern hemisphere. These results are published in the July issue of Icarus. Source of image datasets: Lorenz RD et al. 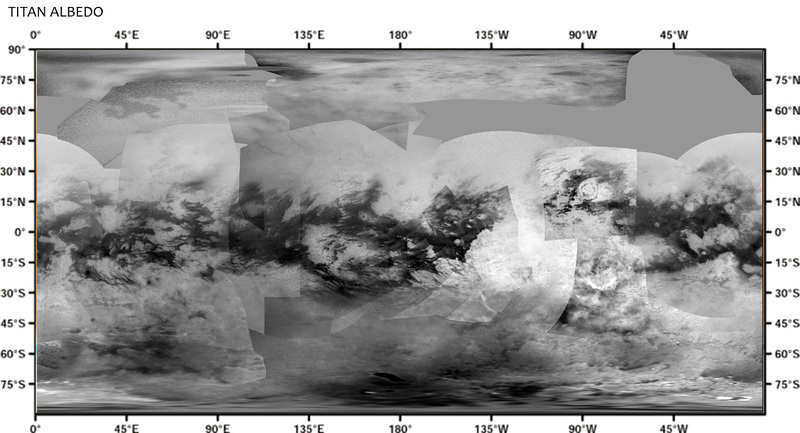 (2013) A global topographic map of Titan. Icarus, Volume 225, Issue 1, July 2013, Pages 367–377. This map uses 90% of interpolated data, from Cassini radar altimetry. Map by H. Hargitai, using DEM basemap published by Lorenz et al. (2013). Made for ICA CPC website.